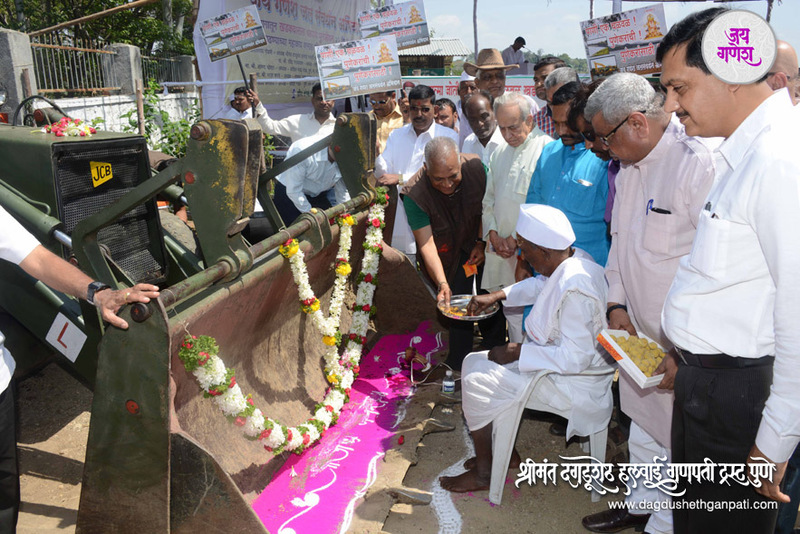 Dagdusheth Ganpathi jalsamradhan abhiyan at Khadakwasla. 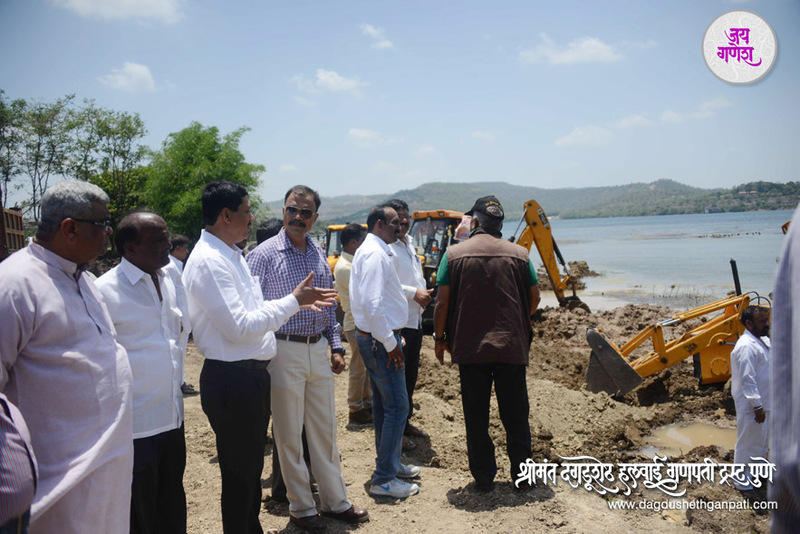 Pune city receives its supply of water from the Khadakwasla reservoir – this reservoir is the chief source of water for Pune. 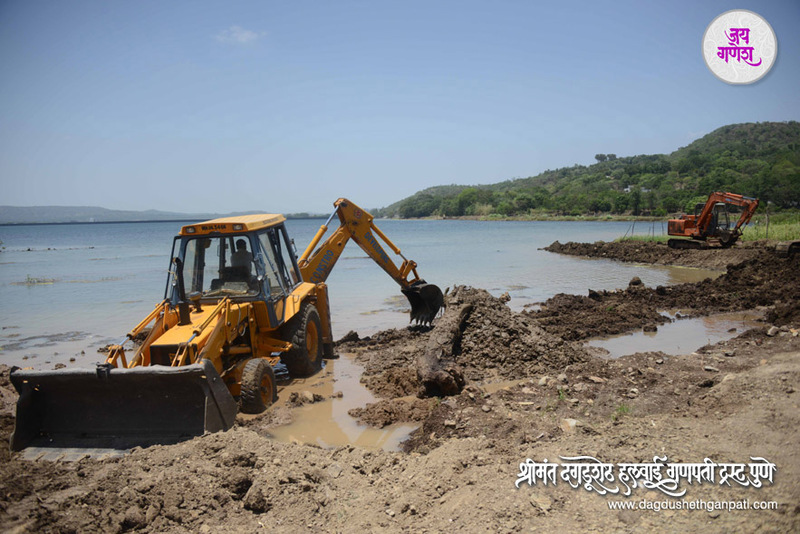 But over the years silt has deposited in the reservoir depleting its storage capacity. 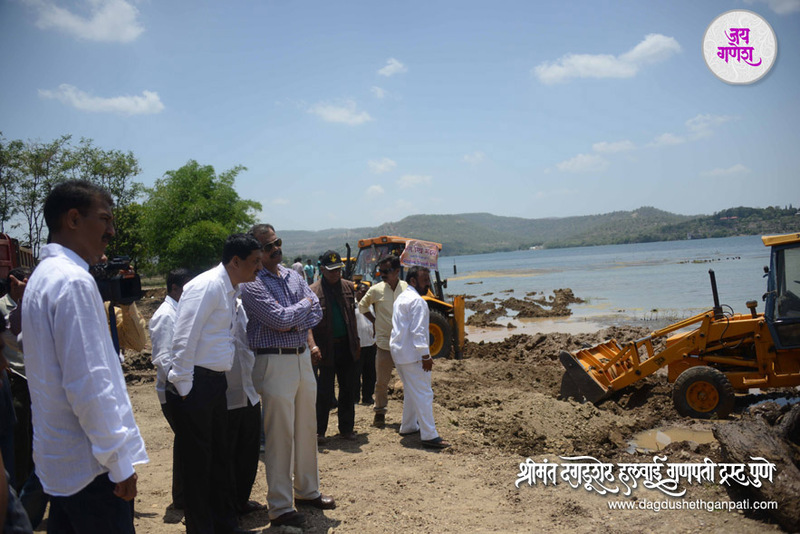 Apart from supplying drinking water to Pune city, the reservoir also caters to the agricultural needs of farmers. The past few years have witnessed a shortage of water which has compelled farmers to take only one crop; the city dwellers too have had to face cuts in the water supply. Col Suresh Patil, a retired army officer who has dedicated himself to social work after retirement, has been pursuing this issue. He tried to resolve the matter through coordinated efforts of the state government and voluntary organizations. But the efforts did not yield desired results. The Dagdusheth Halwai Ganpati Trust learned about Col Patil’s efforts and decided to step in. The Trust has launched a Jalsamvardhan Abhiyan (Water conservation campaign). 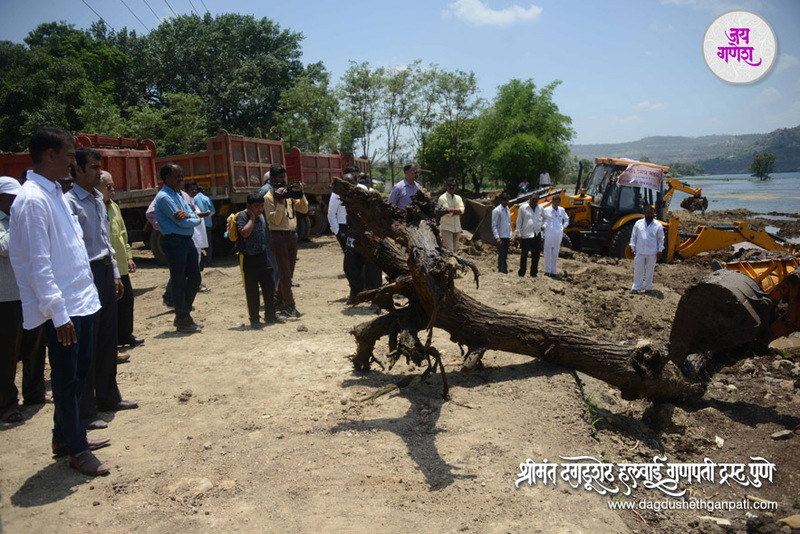 It was mammoth task and, therefore, the Trust decided to rope in several other Ganesh Mandals and citizens’ groups. Responding to the Trust’s call, around 400 Ganesh Mandals have come forward to render assistance. 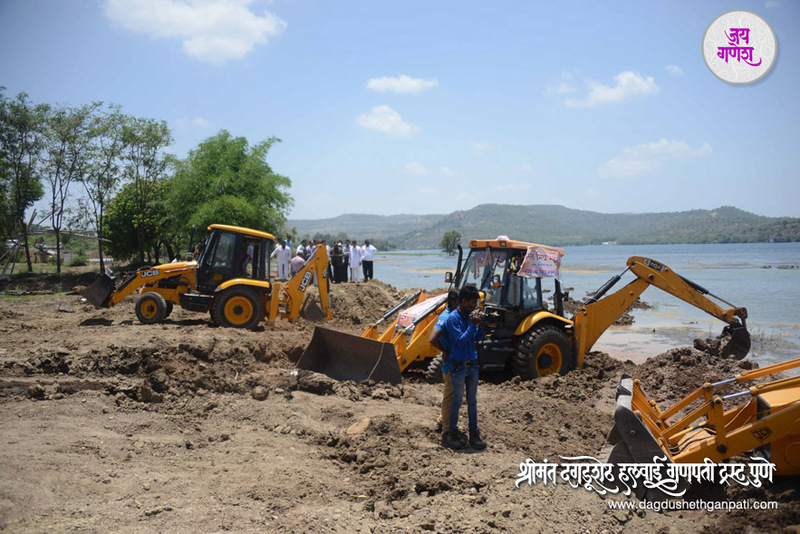 Armed with ten heavy excavators and 16 dumpers work has commenced on de-silting the reservoir. 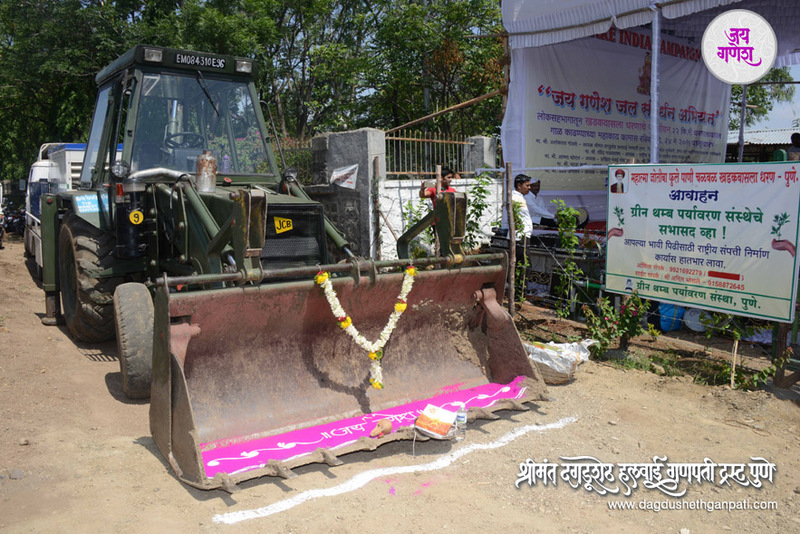 The Ganesh Mandals have been entrusted with the responsibility of supervising the daily de-silting operations – volunteers from three to four Ganesh Mandals present themselves daily for this purpose. 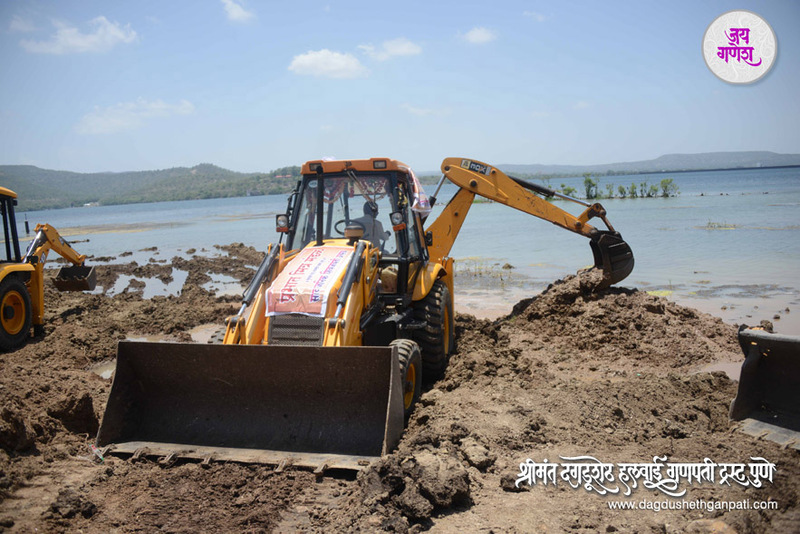 The army, too, is helping in the work and has loaned few of its own excavators. This is one of the rare examples of the cooperation between the army and the citizens. 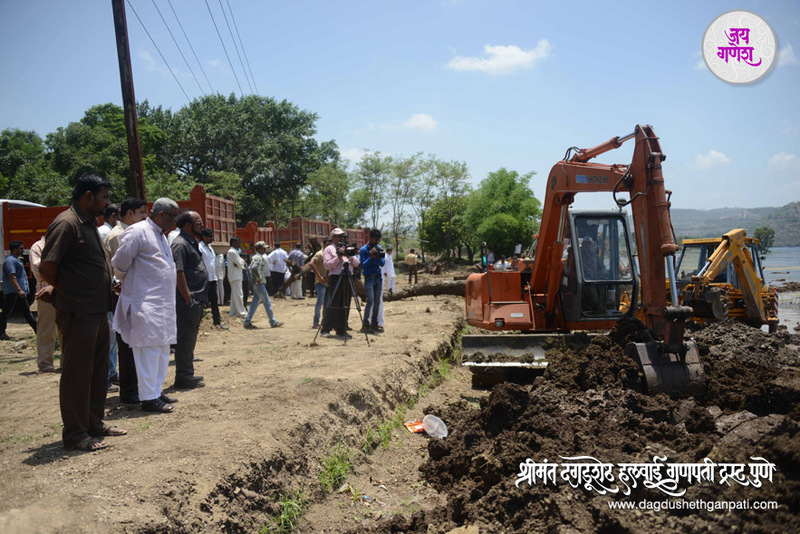 The Trust has also decided to develop and beautify the surrounding area once the de-silting work is over. Plans are afoot to create a “Nature Walk”, plant trees and make arrangements to attract birds. The Trust has obtained permission from the government for this purpose. It is a wonderful example of people’s organizations undertaking a responsibility that is usually considered to be the government’s job. It will surely serve as a role model in the future.